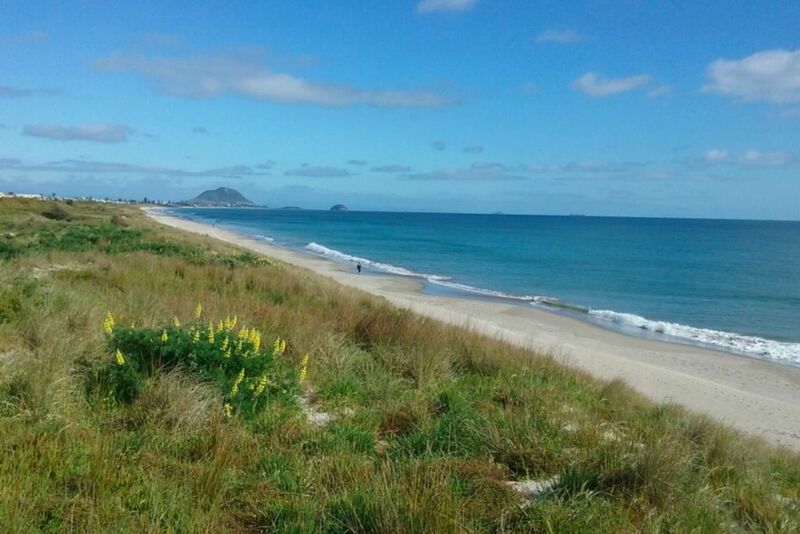 With Papamoa Beach being renowned for its stunning white sand beach stretching from Mt Maunganui in the west to the Kaituna River in the east 'The Sands' situated at the Mt Maunganui end of Papamoa is the ideal holiday getaway and only 150m to the white sands and surf. The ground level accommodation offers plenty of room for mum, dad and the kids to relax in the private grounds or simply head out through the private gate and over the dunes for unsurpassed surfing, swimming, fishing, kayaking or just flat out beach time. A fantastic base, given its central location, for exploring the Bay of Plenty all year round including proximity to Mt Maunganui, Bay Fair and Fashion Island and to the many restaurants and cafe's offering an exciting variety of international cuisine reflecting its growing and diverse population. The accommodation includes two lounge areas, one with dining setting and one with TV and queen sofa bed, large bedroom with king bed, well appointed bathroom plus option of separate double bunk room with full en-suite which sleeps up to three persons. Very well set up and super comfortable and relaxed stay, was perfect for us. Thank you so much, will definitely be back when we're in the area. Comfortable space; excellent bed and linen; everything we needed; enjoyed location adjacent reserve and walk to beach. Great location and very well presented. Great location, quite and so close to the beach. Our host provided everything we needed and then some. Property had everything required, tucked right into the beach reserve. Host helpful and unobtrusive. Neat and clean in a perfect location for access to the beach from the garden. Great accommodation it felt like home. Very clean and tidy, nice and quiet just what we wanted andclose to the beach, it couldn’t get better.